Looking for the perfect Mother’s Day Keto Gift Ideas? (Updated February 13, 2019) Every mom deserves to be spoiled on Mother’s Day. 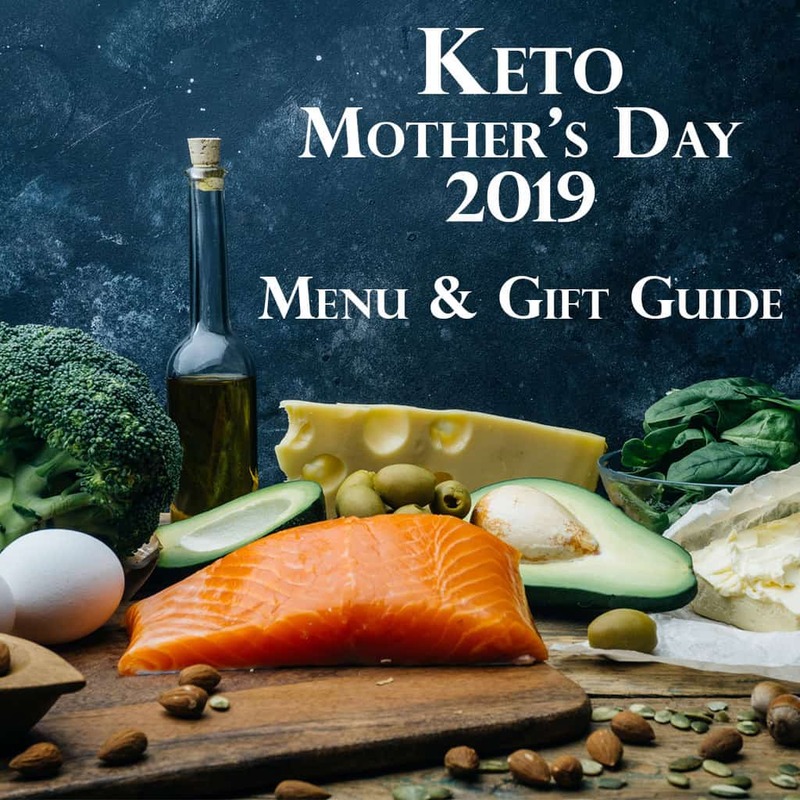 If your mother follows a ketogenic diet, show her how much you care with this wonderful Mother’s Day Keto Menu with recipes. 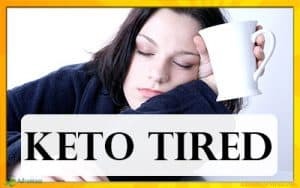 Then check out the list of Mother’s Day Keto Gift Ideas that will help her on her Keto journey. 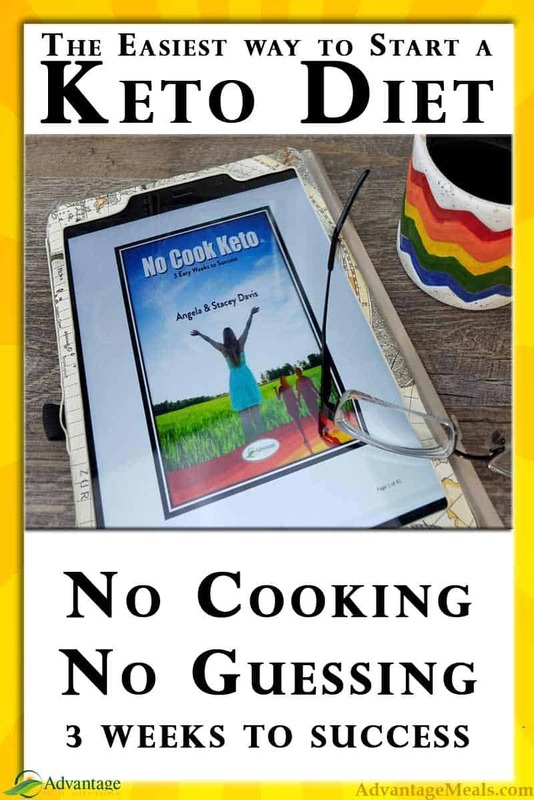 The Perfect Keto Mother’s Day Gift is always respectful of her way of eating and is never a keto temptation or sabotage. In addition, a great keto gift idea might be pampering, luxurious, fun, or something that makes her life a little easier. Make her Mother’s Day extra special and healthy at the same time! 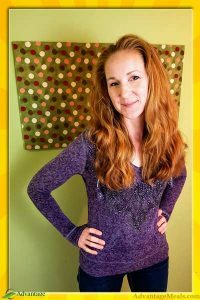 Not only will she love the keto gift, she will know that you understand and support her ketogenic diet. 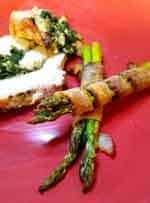 From the Ultimate Mother’s Day dinner menu (that won’t wreck her Keto diet!) to convenient affiliate links to gifts that she will adore, we’ve got you covered. 1. Make her a fabulous Keto dinner. Mom shouldn’t have to lift a finger on Mother’s Day, which means making dinner is one of the best gifts you can give her. While she will appreciate the effort no matter what you make, show her how much you care by following her ketogenic diet. 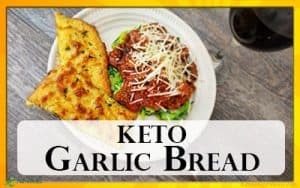 With these decadent and irresistible keto recipes, she will eat like a queen and be impressed by you, all while staying healthy and low carb. And they are all delicious and straight forward, so everyone will love them and they are not difficult to make. A beautiful wilted spinach salad with bacon, feta cheese, and strawberries, how can a Keto mom resist? 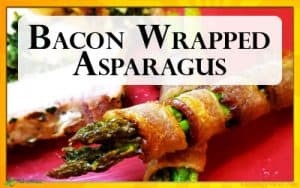 And you’ll love it because it’s a simple keto recipe to make. The recipe is right here on Advantage Meals. 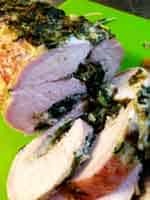 A baked pork loin stuffed with cheese and spinach that is beautiful to look at. Win! 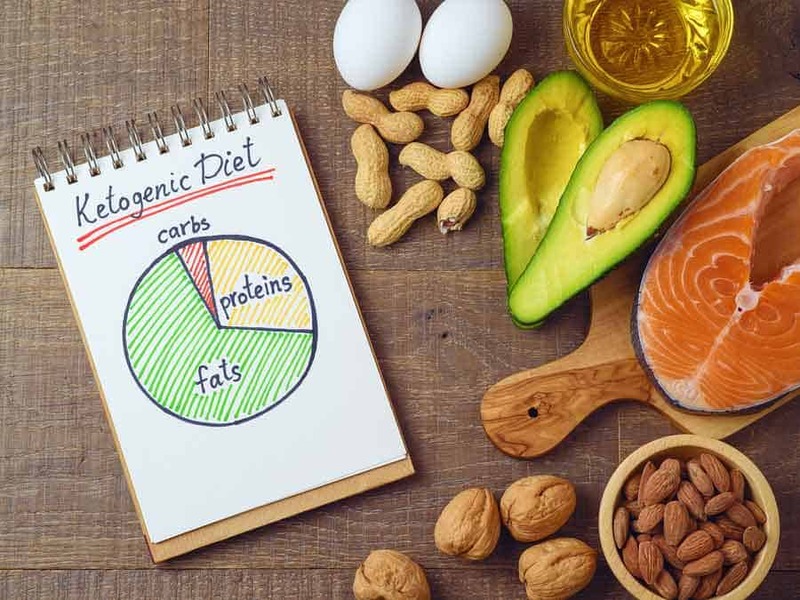 This keto recipe is also right here on Advantage Meals. Need a non-dairy option your mom will love? Here is a link to a Pan Seared Filet Mignon with Mushroom Red Wine Sauce and Bleu Cheese from another blogger, Low Carb Maven. Just omit the bleu cheese! So simple and so irresistible. Your whole family will love these. Here is a link to the full recipe here on Advantage Meals. 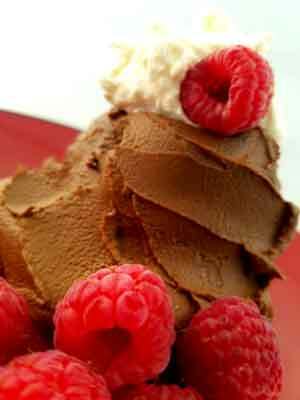 What Mother’s Day would be complete without a decadent dessert? Pro Tip: Make this a day ahead and refrigerate. It will simplify your day, too. Bonus points if you make our Keto Whipped Cream to go on top! Recipe here on Advantage Meals. 2. Keto Breakfast in bed. A classic gift to start Mom’s day off right, breakfast in bed can seem daunting if you know she wants to stay in her low-carb, Keto zone. If the mother in your life likes sweet treats without the sugar and carbs, you do have options. How about this Healthy 1 Minute Low Carb Cinnamon Mug Cake by Big Man’s World? However, if she doesn’t have a sweet tooth, you can’t go wrong with steak and eggs for breakfast. 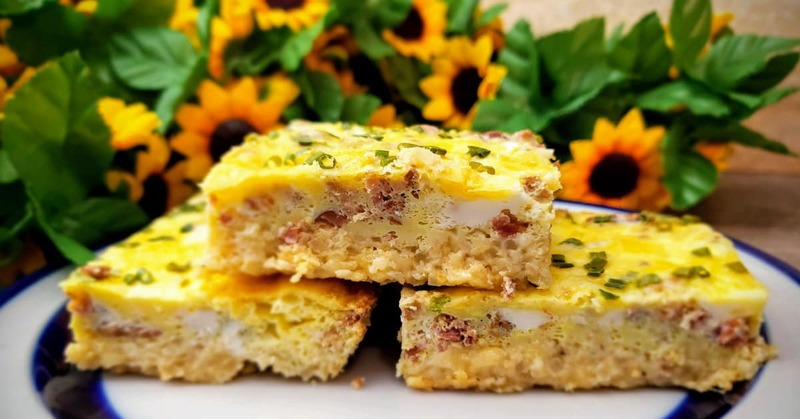 Or if she’d rather have breakfast with the whole family, this keto breakfast casserole will be a hit with everyone. 3. Mother’s Day Bath Luxuries. Give mom the gift of peace and relaxation. Give her a quiet hour for a nice hot bath. Maybe with her favorite book and a glass of wine? Upgrade her bath experience for a great Mother’s Day Gift! Start with a little pampering, and buy her some essential oil scented bath bombs. Lightly moisturizing, refreshing and fabulously fragranced, she will love these bath bombs. Then upgrade her comfort in the tub with beautiful bathtub caddy tray so she has a place for her book and wine. Add even more comfort by making sure she has a nice bath pillow for her back and head. And as a nice upgrade, give her a few more inches of water in the tub with this drain cover. Don’t forget her post-bath ritual. Maybe some Spa Style Towels and a Cruise Worthy Robe? Now that’s a great Mother’s Day bath. Pro Tip: This is the bigger part of the gift. Whether on Mother’s Day or a different day, pay attention to her regular schedule, find something that you can take over for her for an hour, and send her off to her bath bomb haven. You know that I love Chocolate and that I eat it every day on my keto diet. I make a lot of my own keto chocolate treats (you can find them in my keto recipes), but sometimes I don’t have the time so I buy low carb chocolate bars. Lily’s Chocolate is my favorite. They are sweetened with stevia and erythritol, so they are Sugar Free, and yummy! 5. Ketone Monitoring Kit and accessories. While I often rely on how I feel to determine whether I’m in ketosis, I occasionally use these urine testing strips. However, I am a relentless self-experimenter and I love data! 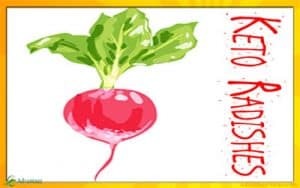 A blood ketone testing meter is the most accurate way to measure the level of ketosis, and if your mom is like me, she may love this KETO-MOJO Blood Ketone and Glucose Testing Meter Kit. This meter is easy to use, easy to read, and provides reliable, accurate information on ketone levels. I love it! 6. DIY Keto Mother’s Day Gift Basket. Start with a pretty basket, then fill it with some great keto snacks and supplements. I’ve included a list of ideas to fill your Keto Mother’s Day Gift Basket. 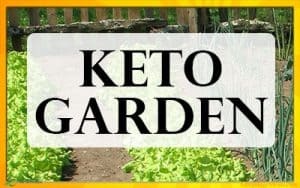 At the heart of your Mom’s Keto diet is a desire to eat well to support her health. 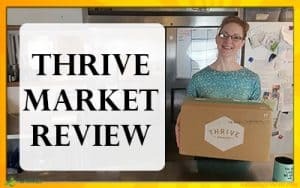 Thrive Market makes high-quality, real food accessible by harnessing the power of group buying. Less middle man means lower prices on organic, natural, healthy food options. And it’s delivered directly to your house! Your Mom will love how easy it is to order her favorite products and you’ll love that you’ve made her life a little easier. We are Thrive Market members, and we order our pantry staples at least once a month. We definitely get our money’s worth out of our membership, and your Mom will, too! A quality kitchen scale is a great tool for helping your keto mom track her macros. This kitchen scale works fine as a regular kitchen scale, showing weights on the scale display. It also has the added coolness of linking with her smart phone to display actual macros. Not all food is in the database, but it’s still a neat feature to take this kitchen scale from nice to cool. If your family hasn’t gotten an Instant Pot yet, now is the time. This is a gift that will make mom’s life easier and save her time. We use ours to make bone broth in just a few hours, as well as make keto dinner in a fraction of the time. If it fits your budget, be sure to also get her the Instant Pot Accessory Kit. She can even make keto cheesecake with these accessories! There are tons of free recipes on the internet. 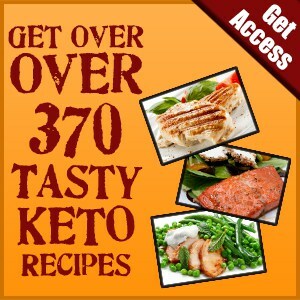 You’ll find dozens of our own Keto Recipes right here on AdvantageMeals.com. On our Pinterest Boards you’ll find thousands of recipes that we like. 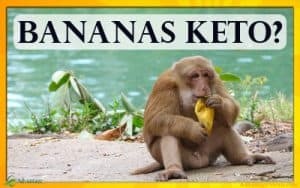 However, if you want a good Keto Cookbook, check out this one. It is a digital product, meaning you’ll download a PDF that you can access on any device you can download it to. Did you like these Keto Gift Ideas for mom? 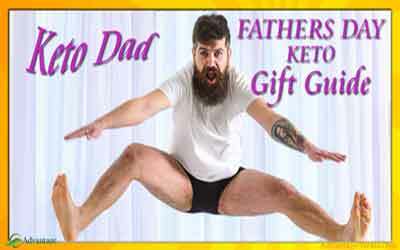 Then Check out these for dad!